The interest group on rewilding are meeting again on Thursday, 23rd October, at 7.30 p.m. at Jill’s house. Please message me (or email anyone involved in Transition) for her address. We’ve got various things to discuss, not least moving forward on planning a public meeting. Please let us know if you can think of anyone who knows what they’re talking about on this issue: we’re going to try to make sure a variety of views are represented. In the meantime, we have a distant date for you: The Platt’s Wood Project, a community woodland in Hayfield*, will be having a tree-planting day on 6th December. Some of us will be going along, and you’d be very welcome if you would like to help, and learn more about this lovely venture. We’ll confirm the date nearer the time, and arrange car shares. See https://www.facebook.com/pages/The-Platts-Wood-Project/312882075530947?fref=ts for more details. I hope to see some of you at the meeting on 23rd October. You may remember this blog post posing the question of whether we need more community energy in New Mills. An overwhelming 90% of people thought we did. Repeat to reduce carbon emissions, increase energy security and create local jobs! The good news is that there is now a small team from Transition New Mills working on this. And, having spoken to a number of people, we reckon that generating electricity from solar panels (‘solar PV’) on one or more large roofs is the best way to start. Why is this? It’s not usually subject to much controversy. Of course, none of the stages outlined above are simple and we need help. For some of the practical considerations, we’ve secured the partnership of an experienced and friendly solar installation company, Sustainable Energy Systems, whose involvement is vital in ensuring that sites are suitable and we can address technical issues. Together, we’ve been scouting out potentially suitable sites (i.e. large, broadly south-facing roofs in New Mills!) and approaching the people who look after them. Sometimes, finding the right people to talk to and getting a foot in the door is not always as easy as it might seem. Whilst of course it wouldn’t be right to give details of meetings and conversations we’ve had, I can say that one site that looked initially promising is unfortunately not appropriate. We’re currently engaged in discussions over one other potential site and we’re at the early stages of approaching others. Also extremely helpful has been Ovesco. 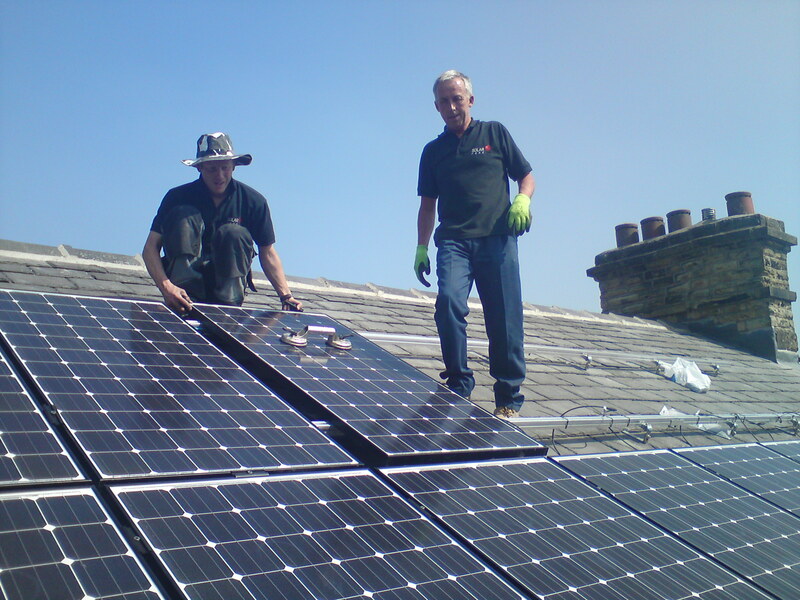 This organisation was formed by people from Transition Town Lewes and their first project was an installation of solar panels on the roof of a family-owned Sussex brewery. They have definitely been there, done that and have the contacts and expertise to prove it! Among other very useful pointers, they suggested that whilst our first priority is to realise the initial project, the medium-term game plan should be to operate several community-owned power stations so that we can afford for someone to devote a portion of their time to manage them (and their investors) and to develop further opportunities. Watch this space for further updates as the project progresses. If you have any suggestions or want to get involved, feel free to get in contact via the usual channels or post a comment below. 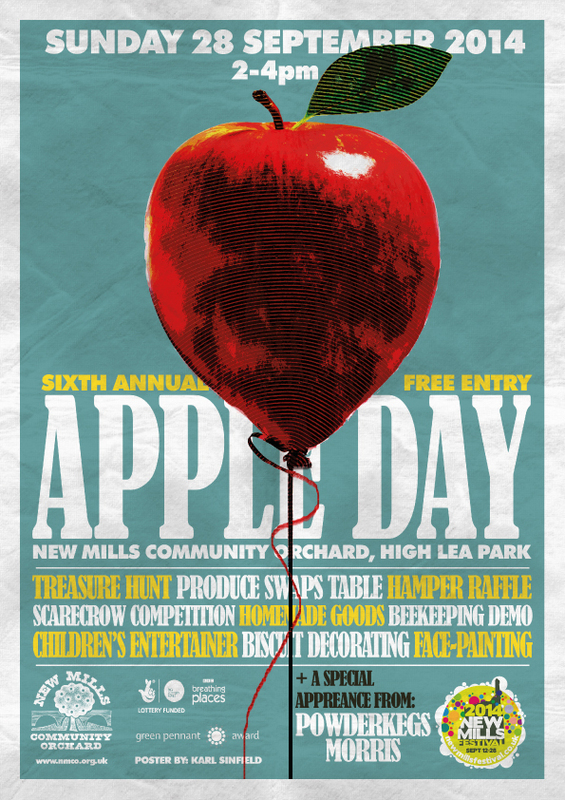 New Mills Community Orchard will be holding their 6th annual Apple Day celebration as part of the festival on Sunday 28th September, 2pm-4pm, at the High Lea orchard. As well as these, of course its a great family afternoon out, and has the added attraction of the Powderkegs Morris group! There were also several spiders, a bumble bee (v briefly), and a couple of other flies that did not want to be identified. 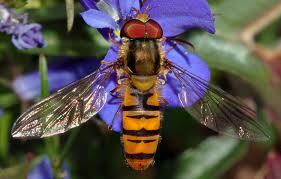 Proof that the garden is attractive to beneficial insects as well as us! Further surveys are planned for May & July next year, when a different range of insects can be expected. End of the Road for Himalayan Balsam! Derbyshire County Council rangers have surveyed the areas targeted for balsam clearance, and are very happy that we have helped them achieve this year’s goals. There will therefore be no organised Balsam Bash tomorrow Sunday 7th September, so you are free to make good use of the forecast sunshine in other ways! With no other events planned, this brings a close to this year’s season. Many thanks to all the 20+ volunteers who have helped make this project such a success, and to the Town, Borough and County Councils for their support; it’s great to see such enthusiasm and hard work. One young member has even got a Blue Peter badge for her efforts! Although it can seem overwhelming, we have made a noticeable difference on the riverbanks in all directions from the Sett / Goyt confluence, in Mousley Bottom and around Hague Bar. In response to the comments on the danger of spreading the plant once the seeds have set, this has always been acknowledged by the project. At the more recent bashing events we have concentrated on the smaller, younger plants coming through in areas cleared earlier in the year, and tried to leave the seeding plants alone, apart from where they pose a threat to already cleared areas. In the latter case we merely bend the stem so that it sheds its seeds back into the already infected area. The next stage in the project will be to take stock of this year’s experiences, and to create an effective plan for next year. It would be good to involve more local groups, work out how we can tackle the more difficult sites, and maybe get some funding for materials we may need. We’ll let you know when a meeting has been arranged.